When you repaint, you will want to finish the job with proper graphics. 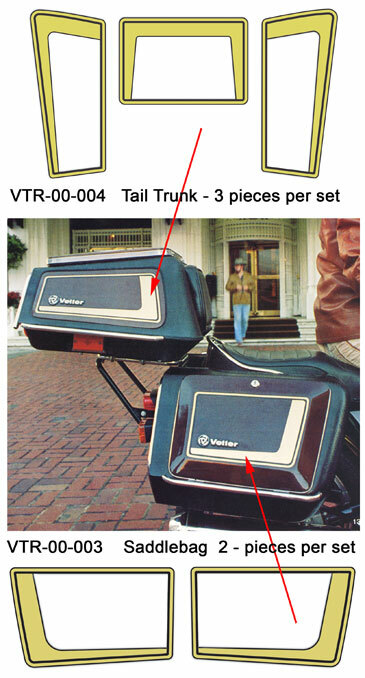 Original Vetter Striping has been out of production since 1983. 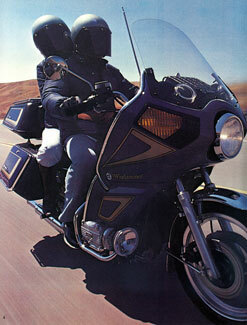 If you can find any on EBAY, they are usually damaged, incomplete or the wrong color. These new manufacture fresh Vetter Graphics Kits are made from 3M's best vinyl and clear coat safe. Developed exclusively for us by Andre and Ellen Okazaki of Reproduction Decals. 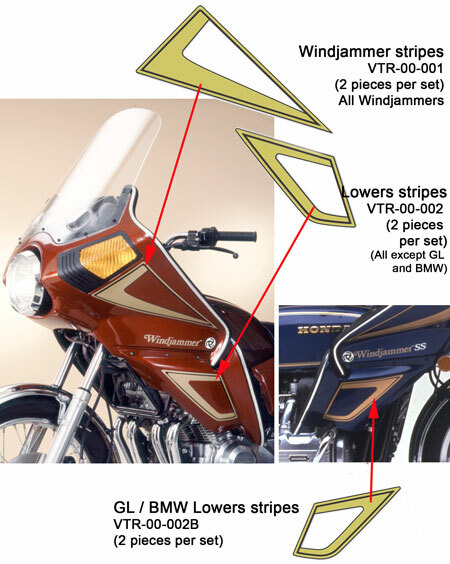 Black and gold graphics were the most handsome and most popular for Windjammer* fairings and all luggage. Now they are available again. All Vetter Graphics kits come with easy to understand instructions. Each panel has a "carrier sheet" that holds each stripe together for easy installation. OK to "Clear coat" over. Note: The Windjammer 5 came with a different style graphics package. I had nothing to do with the design and recommend that you upgrade to the graphics on this page.